Barcelona have reportedly reached an agreement with Luka Jovic ahead of a possible summer transfer. The 21-year-old has impressed for Eintracht Frankfurt so far this season, scoring 19 goals and providing four assists in 27 appearances in all competitions. In turn, that would suggest that he has a bright future ahead of him, while he also has three caps for Serbia to his name. According to Mundo Deportivo, via Frankfurter Allgemeine Zeitung, it’s reported that the Catalan giants have an agreement in place with the youngster, although there is no mention of a deal with Frankfurt. Jovic is currently on loan from Benfica, and so should Barcelona launch an official bid this summer, who they negotiate with will depend on whether an option to buy clause in his deal is exercised. 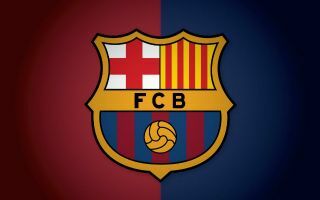 Time will tell if the talented youngster moves to the Nou Camp, but what is clear is that Barcelona are in need of quality and depth in that department moving forward. Beyond Luis Suarez, coach Ernesto Valverde is limited in his options up front, and so Jovic could address that more immediate problem ahead of next season, while given he’s still only 21 years of age, he could be a long-term solution and successor for Suarez too. The Uruguayan stalwart turned 32 last month, although he has bagged 16 goals and eight assists in 31 appearances so far this season, which suggests that he still has plenty left in the tank. It remains to be seen if a deal is agreed, but ultimately, the report above would suggest that Barca see Jovic as a serious target and will look to add him to their squad in the summer as they continue to compete on multiple fronts.